The subsurface provides a mecca for the computational scientist and engineer. In this talk, we will discuss outstanding (unresolved as well as quite wonderful) problems in simulation of flow and transport, as well as data analysis. Flow and transport of subsurface fluids are governed by nonlinear processes across a wide range of temporal and spatial scales, under strong uncertainty. We will focus on a particularly interesting case that involves combustion. In this thermal process, sensitivities to numerical and modeling errors are very high and the community still puzzles over the most effective simulation approaches. We will dive a bit deeper into the question of how to upscale kinetics from the observable laboratory scale to the reservoir scale. As in many other fields, data mining and machine learning techniques are increasingly applied to try to gain additional insights and/or develop faster simulation tools. In the second part of the talk, we will look at a couple of examples and discuss areas in which the marriage of subsurface flow and data science may be particularly attractive. After receiving her MS degree in Applied Mathematics at the University of Delft, Margot moved to the U.S. in search of hillier and sunnier places. In 1996 she received her Ph.D. in Scientific Computing and Computational Mathematics from Stanford University. Before returning to Stanford in 2001, Margot spent five years in Auckland, New Zealand, as a faculty member in the Department of Engineering Science. Margot is a professor in the Department of Energy Resources Engineering at Stanford, interested in computer simulation and mathematical analysis of engineering processes. 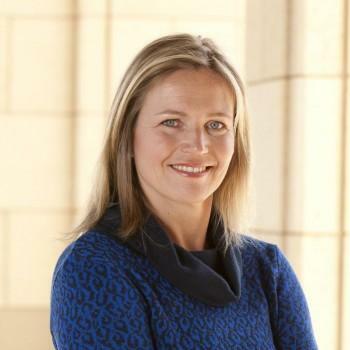 Since 2010, she directs the Institute for Computational and Mathematical Engineering and is currently a Senior Associate Dean in Stanford's School of Earth, Energy, and Environmental Sciences. She specializes in renewable and fossil energy production, and is also active in coastal ocean dynamics and yacht design.